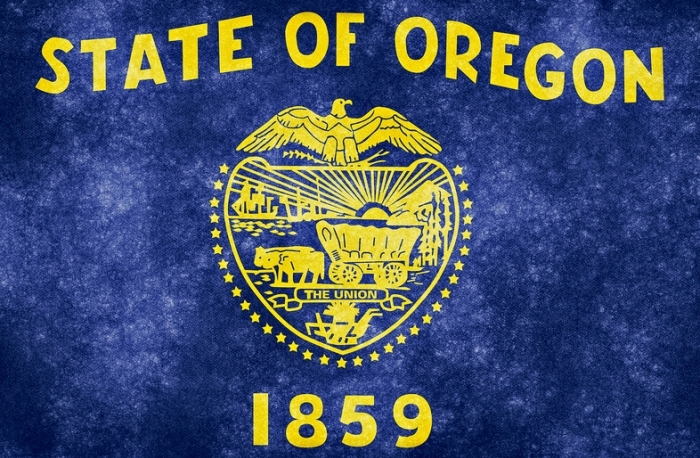 Oregon made history recently when newly appointed Gov. Kate Brown signed legislation into law that makes voter registration automatic for Oregonians using driver’s license records. House Bill 2177 moved quickly through the Oregon’s Democratically controlled Legislature — although similar legislation had failed in 2013. It was championed by then-Secretary of State Kate Brown as well as the Oregon Association of County Clerks (OACC). And on March 16, Brown got to sign her legislation into law. Now comes the hard part — implementing the new law. The secretary of state’s office is forming a committee that will include at least two county clerks to discuss implementation and is in the process of hiring a project manager. In the initial wave of implementation, the state will go back two years through driver’s license records and provisionally register those who aren’t already signed up to vote. Those residents will receive post cards that will give them the opportunity to move forward with the voter registration and choose a political party, or to opt-out of registration altogether. The secretary of state’s office will undertake most of the initial work, but the counties will be involved as well. Polk County Clerk Valerie Unger anticipates about a 12.5 percent increase in her voter rolls initially as well as an increased work load. Multnomah County — home to Portland and its suburbs — will see probably the largest bump in its voter rolls. According to Tim Scott, Multnomah County director of elections, the state has told him to anticipate about 50,000 new voters initially. While Multnomah will have the biggest bump, Scott isn’t sure quite yet what the impact on his office will be. Costs for the implementation of the new law will run about $753,445 according to a fiscal impact statement filed with the legislation. Among other things, those initial costs will cover postage and postcards, purchase of new software and the project manager. Kim Kean, elections supervisor in Hood River County said that for her office, there will be additional costs of time and money with the initial roll out, but anticipates that will even out in time. Kean said that Hood River anticipates getting about 3,000 to 6,000 new voters in the initial implementation. Deschutes County is anticipating about an 11.8 percent increase in voter registrations in the initial wave and has budgeted $40,000 to implement the new law according to County Clerk Nancy Blankenship. Despite the increased costs and initial workload, Blankenship said there are silver linings with the new law. She anticipates that there may be a decreased need for voter registration drives and that data entry of DMV registrations will be more efficient. Reaction of residents to the new law has been largely positive, although as with everything, there have been some critics. Tony Green, spokesman for the secretary of state’s office said that there has been a lot of excitement among voting rights advocates and that his office has already heard from people wanting to know how to opt-out. He said that the greatest concerns seem to stem from people who incorrectly believe that being registered to vote means they will get called for jury duty. Some clerks also said they have heard from a few folks pre-emptively, but largely the response has been positive. Scott said he did receive one call from someone who wanted to make sure there was an opt-out process and when he explained to them that they would have 21 days to opt out by returning a postcard, they seemed satisfied with that option. While Oregon is still working on implementation, other states are starting to look at the prospects of automatic voter registration. California Secretary of State Alex Padilla recently said that automatic voter registration would be one of his top priorities and legislation is currently pending in Pennsylvania. As I’ve already written, these next several months will be crucial in the implementation of the Oregon law – and the state’s experience with implementation should be of great interest to any state considering following Oregon’s path. Thanks as always to Mindy for her reporting … and stay tuned! 2 Comments on "Taking the Next Steps: electionlineWeekly on Oregon’s “New Motor Voter” Implementation"
Very Interesting. Thanks for providing this information.